Join us for the second presentation in our winter speaker series, Making Waves in Coastal Conservation, featuring Corrie Folsom-O’Keefe, Coordinator of the Important Bird Areas Program for Audubon Connecticut (Audubon CT), a state office of the National Audubon Society. Her talk starts at 2 p.m. on January 30 at Brewster Hall in Plymouth. Corrie will speak about an exciting program, which serves to protect beach-nesting birds, educate beach visitors about the birds, and train urban youth for careers in conservation biology – The Audubon CT WildLife Guards. 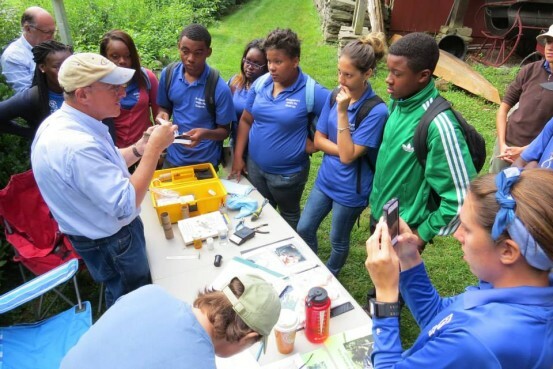 This innovative and collaborative program provides job training, mentoring, and employment in bird conservation and resource management for selected Bridgeport high school students. Audubon CT works in partnership with the Roger Tory Peterson Institute of Natural History (RTPI) and the City of Bridgeport’s Department of Youth Services. The former, along with Audubon CT, provides hands-on training in bird monitoring, coastal ecology, and public outreach. The latter provides general job training. Following training, the WildLife Guards become the official monitors at Bridgeport’s Pleasure Beach, tasked with tracking the reproductive success of state-threatened Piping Plovers. 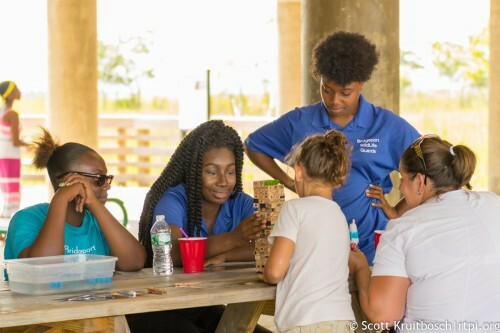 They also help residents learn about, value and respect Pleasure Beach’s natural resources by various activities including leading bird and natural history walks, games, and craft activities such as making piping plovers out of marshmallows. In the process, students gain confidence, knowledge, and job skills. Pre-register below for the talk to receive an email reminder about it a few days before and a message if it is postponed due to snow. Directions to Brewster Hall here.